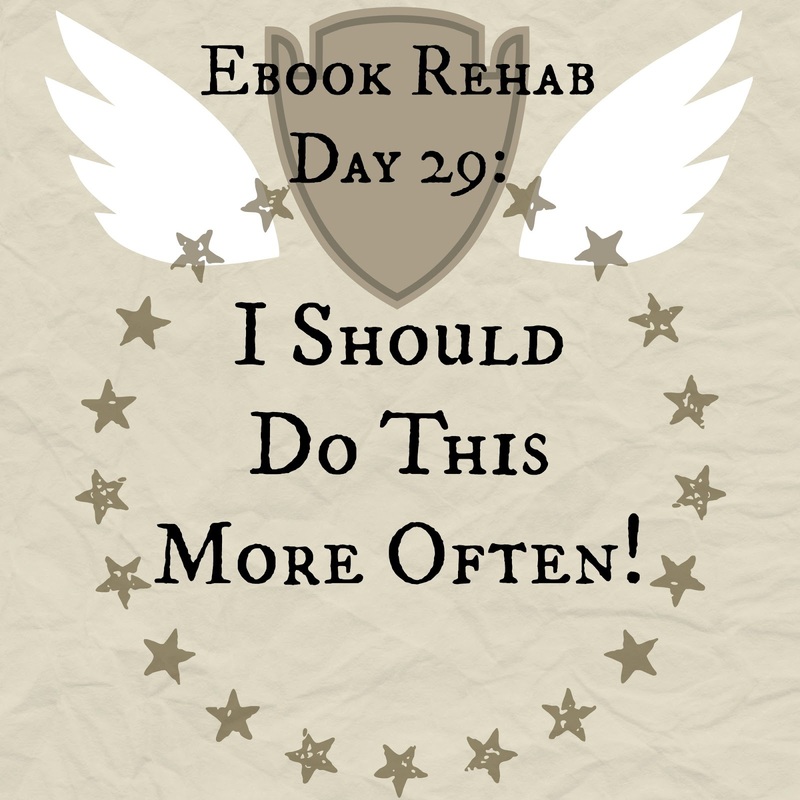 Ebook Rehab Day 29: I Should Do This More Often! By the end of February I expected to be pulling my hair out with my "limited" selection of paper books to choose from. I expected to be more than happy to "turn the page" on my month as a paper-only reader. I expected to be bled dry by paper cuts, fed up with my reading lamp, and at least a little bit grumpy. 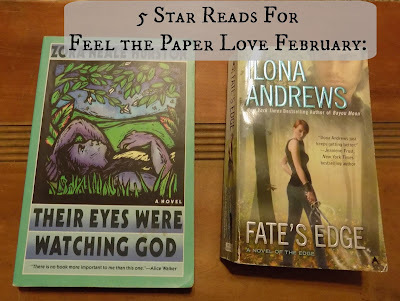 It is the last day of #FeelPaperFeb. I am not grumpy, I'm not fed up with my reading lamp, I haven't even gotten a paper cut(!!! ), I'm not more than happy February is over, and my head is still thickly carpeted with Wookiee-like locks. I didn't find my selection that limited, but I did buy more books anyway, as I had waited long enough on some, and on others, I got some excellent buys. I read two (!!!!!) 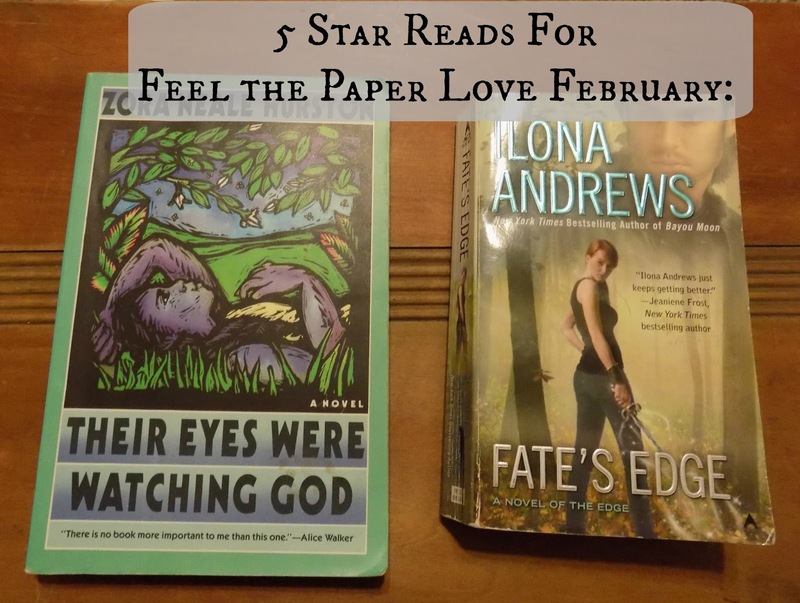 five-star books, I found a new favorite series of Ilona Andrews' (like that was a chore), and I did occasionally find myself craving an ebook, but not nearly as much as I thought I would have. The First 3 Books of The Edge by Ilona Andrews, a new favorite series! Yes, I did notice I may have read a little bit slower sticking with all paper books, but I think I enjoyed the experience just as much (if not more than) reading all ebooks (like I do much of the time). I had hoped for some relief with my frequent insomnia, and although I am currently on the daylight schedule, I have a feeling it doesn't have much to do with the book format as much as strategic ibuprofen experimenting (I always make sure to have some before I intend to sleep, therefore having less pain to fight off in order to sleep). And also, there haven't been many storms passing through these past few days (storms = pain = insomnia = vicious cycle). For the 13th of March: #49: The 5 Books That Had You at "Hello"
I picked this one up due to its unusual cover, and it has become one of those intensely personal books to me. 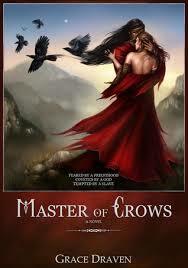 I really need to reread it, as I keep wondering if my reaction will be as intense as it was the first time I read it. This is my permanent reminder of how I won't parent my children, if I should ever have said children. This book was banned in my house growing up due to my father's dislike of 'magic'. You'll notice one of my most prevalent tags on this blog is 'magic'. I managed to keep this, despite times I hid it under my bed hoping it wouldn't disappear, and reading it under my covers or in the dead of night so I wouldn't get 'caught'. My father also loved taking away the books I was currently reading when I was 'bad' (for full disclosure, I was a good child/teen- I never drank, smoked, stole, or fought, I had better grades than my brothers did, but I would not [and will never] respect someone who treats women [or anyone else, for that matter] like dirt). If you want to be a good parent, don't be a control freak, a narcissist, or take away your children's books. 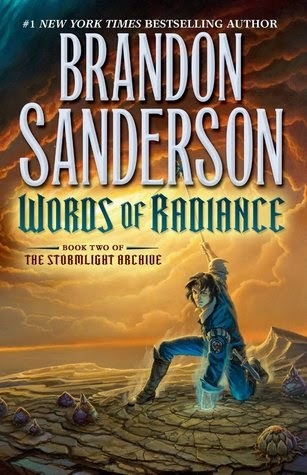 This is one of my favorite fantasy books. 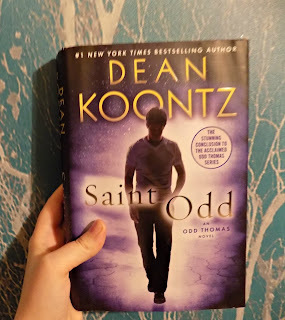 I likely will never be able to review it to my satisfaction, which is why I haven't yet, and I took quite the journey (click link above to read about said journey) to get this copy of it. I'm never letting it go, now that it's finally in my grasp. Muahahahahahaha...haha... ahem. This one holds a lot of sentimental value, not really because of the book itself, but due to the person who owned it. If Goodwill ever received it, it would be thrown straight into the trash, but for me, it's a treasure. 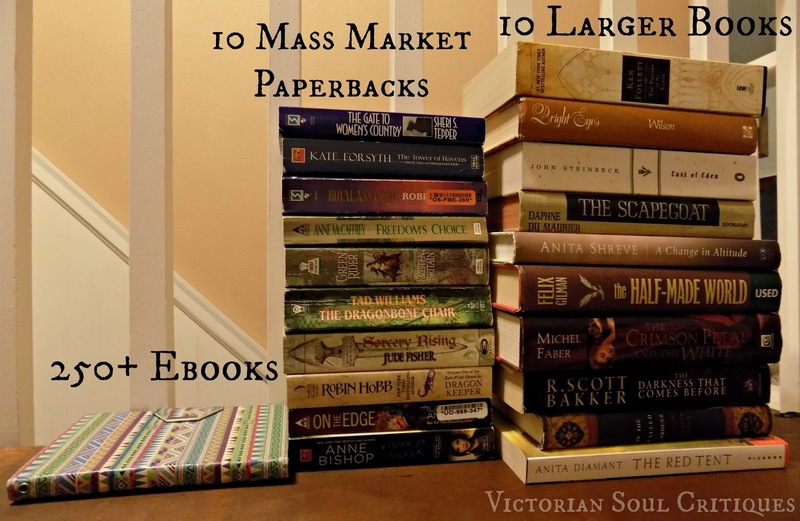 Do you have certain paper books that you hold dear? What makes you want to keep them? 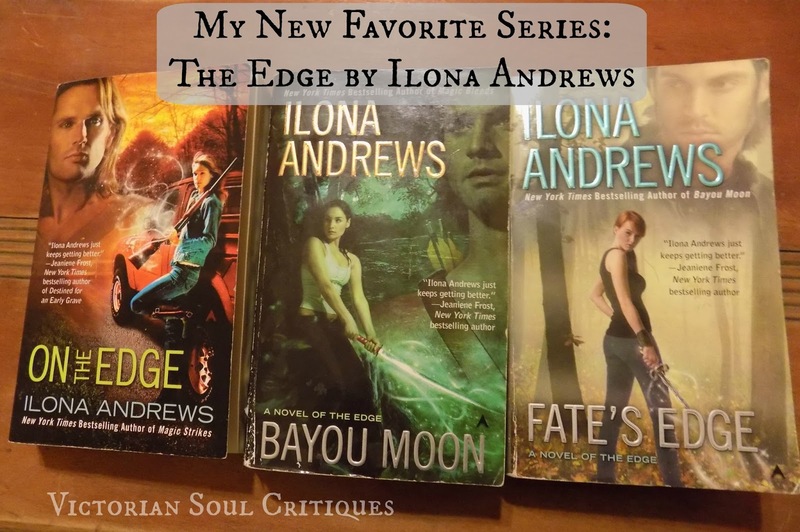 Naturally, since I am addicted to any narcotic substance writing produced by Ilona Andrews, I picked up the entire series during my buying spree at Better World Books. 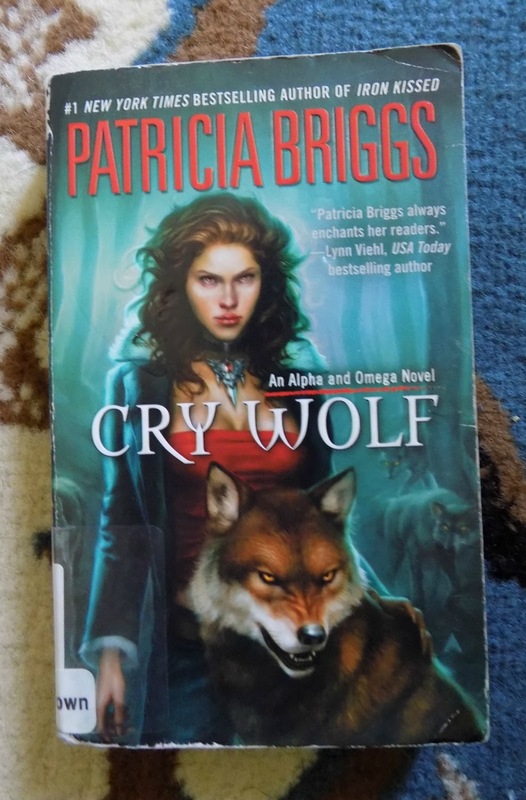 This book has a lot in common with Ilona Andrews' other work, Burn For Me, which I also loved, but is set in a more 'hidden world'. 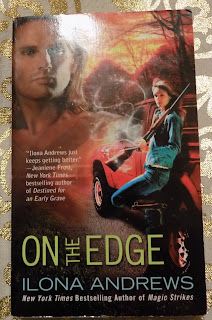 It's also more romance oriented than Ilona Andrews' usual urban fantasy fare, but still can't touch Halfway to the Grave. There are three worlds in this novel: the Broken, which is basically what normal, non-magical folks like us live in daily, the Edge, which has a bit of magic to it, and has no rule of law, and the Weird, where the most magical people live and is the essential 'magic kingdom'. Most magic users can only visit two worlds, the Edge and the Weird, due to the Broken being 'broken' of magic. Others don't have enough magic to visit the Weird, or have warrants out for their arrest in the Weird. Rose can visit all three, but doesn't have the necessary papers to ensure her and her brothers' rights are respected once they cross into the Weird, hence them living on the Edge, with the occasional venture into the Broken. 'Rose Drayton lives on the Edge, between the world of the Broken (where people drive cars, shop at Wal-Mart, and magic is a fairy tale) and the Weird (where blueblood aristocrats rule, changelings roam, and the strength of your magic can change your destiny). Only Edgers like Rose can easily travel from one world to the next, but they never truly belong in either. 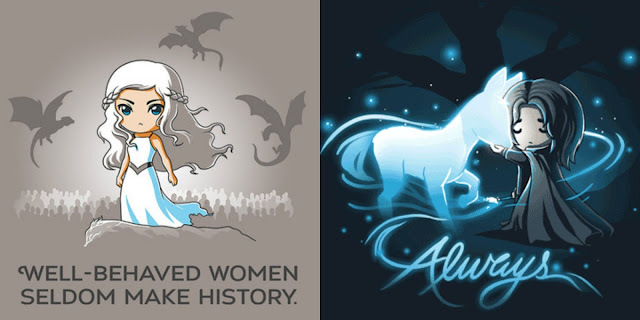 'Rose thought if she practiced her magic, she could build a better life for herself. But things didn’t turn out how she planned, and now she works a minimum wage, off the books job in the Broken just to survive. Then Declan Camarine, a blueblood noble straight out of the deepest part of the Weird, comes into her life, determined to have her (and her power). Rose is left to care for her young brothers after her father runs off when she is a teenager. Despite challenges, she raises them as best she can, until one day a stranger comes to her property looking to carry her off as his own. Declan is the kind of hero I usually wince at- he makes all kinds of demands, believes he is entitled to certain things, and will do anything to get what he wants. There are a lot of moments where my eyebrows were *almost* meeting my hairline... but all is revealed in the end, as with any good book. On the Edge is an exceptional escape from reality. If you've ever wondered if magic users frequent Wal-Mart, well, this book may indeed hold the answer for you. If you're addicted to fictional shifter children, this book has one. If you like urban fantasy and paranormal romance, but definitely prefer the urban fantasy bits, have no fear. I recommend this book to those who like books about adult magic users, both prosperous and penniless. Rating: 4.5 of 5 Stars for a new (to me) favorite Ilona Andrews series! Content: Ages 18+ for violence, sexual content, likely a few naughty words, and irritating bluebloods. Interesting Fact: Jack and George are also featured in a scene of Sweep in Peace, a book I read last year and haven't reviewed (yet). I'll have to reread it! It's difficult to even begin to review this book because I loved it so much, I'm afraid I'll do it more harm than good by reviewing it. If a book is anything but five stars, it's simple for me to parse it piece by piece, because I don't have that troublesome love emotion clouding my judgement. I loved this book- that's simple. Explaining that love will take some doing. In the beginning, I was relatively unimpressed. It started like many other classics I've read, so why would it be different from any other? I loved the writing style, elegant words strung together in such a fashion that I read efficiently, and I found none of those cumbersome, hard to decipher sentences that seem to plague me with other works. The story, in the beginning, mind you, could've used a little boost: it was definitely on the slower end of things. For me "riveting" isn't how I'd describe it until halfway through, when we finally get toward the action side of things. It's kind of funny, because usually I really gravitate towards heroines, but with this book the heroine was definitely not who I was intrigued by. Yes, Christine does play her part in the story, but the character who grabbed my attention was the mysterious phantom. Not only is he masked, he can also blackmail with the best of them. He's a sort of eccentric super spy who hides out in an opera house: you never know if he's there or not. This style of classic is a bit of a melodrama- but I feel like it definitely works for it. Modern works of fiction tend to stray too far into soap opera territory, but there's something about Gothic style classics that invariably appeal to me, even when they go a little far. Sometimes, one needs a book with a lot of emotional flair, even when one purports oneself to be dispassionate. None will ever be a true Parisian who has not learned to wear a mask of gaiety over his sorrows and one of sadness, boredom, or indifference over his inward joy. 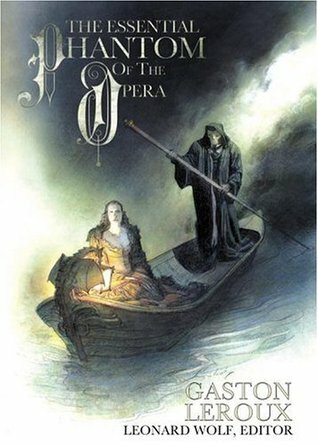 The Phantom of the Opera is a love story, a horror story, and an antihero tale wrapped into one. Personally, the antihero tale is what kept me engrossed in this particular book- I've long been a fan of characters who are less than perfect. Add in a writing style that make the pages flick by with the greatest of ease, while evoking beautiful ideas and imagery, and I was head over heels for this book. I recommend The Phantom of the Opera for those who love heroes who may be villains as well. Rating: 5 of 5 Stars for a classic that took me completely by surprise! Content: Ages 16+ for scary bits (with violence). In the past 21 days, I've noticed a pattern of slower than usual reading- that I blame mostly on the paper books. True, I've had more anomalous nerve pain, but I think paper books also make you stop and think about what you're reading more. Not a bad thing, especially since I occasionally stumble past significant sections of books while speed-reading on my Kindle. 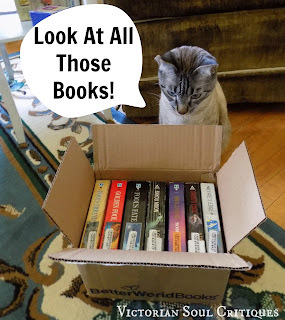 See my "Better World Books" Haul if interested. I got a lot of books. This is one of her more vintage works. As I'm a fan of her novels, I like to collect any that I find floating around, as long as they're cheapish. It's okay so far. I may actually start another book (eyes pile of Ilona Andrews books) because this one's not grabbing me at the moment. I was hoping for a little more ending, but overall, still an incredible book. I think this qualifies for the most interesting book I read in February... or even the one I learned the most from. Yep... there goes my budget. So many good posts this week- I think I likely missed some, but here's a quick version (as typing with my left elbow straight is really, really awkward). Things Romance Readers Are Sick of Hearing by Ceilidhann @ Bibliodaze. You could just superimpose a giant YES on that post because I love every word she wrote. 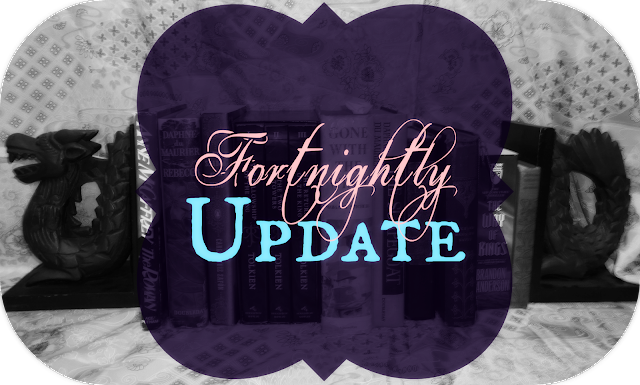 Cover Discover: Rainbow Colored Covers Face-Off by Becca @ I'm Lost in Books. Rainbow covers may be my kryptonite. Put a few of these pretties out on a busy road and I would be a goner. Hardcover Lover Confessions (On Commenting Habits) by Erin @ The Hardcover Lover. A great post (and discussion) about commenting- I kind of have my own style going on. 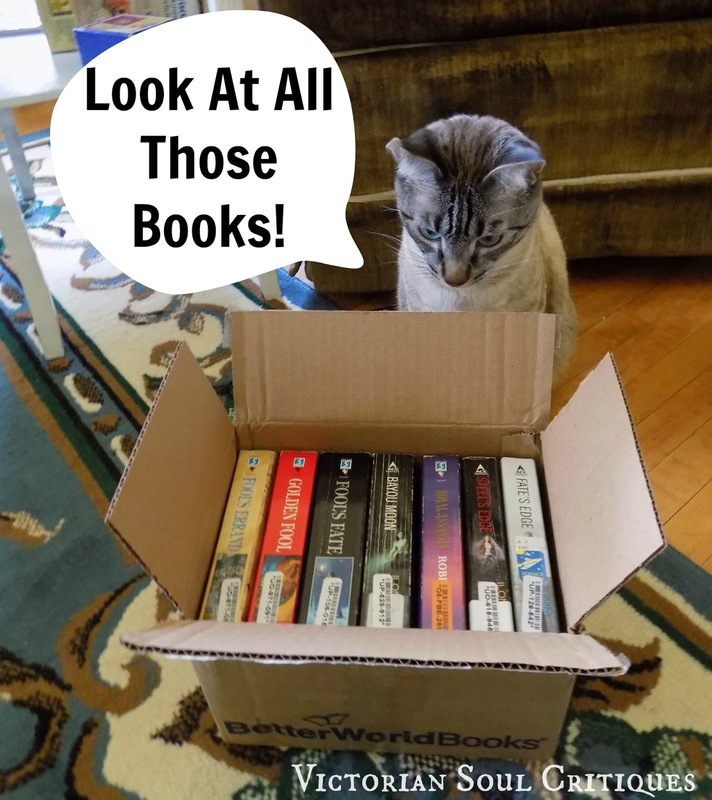 Day 5 of BBAW: My Book Blogging Story by Wendy @ Musings of a Bookish Kitty. Blogging Highs and Lows on a Third Blogiversary by Shannon @ River City Reading. Simplifying my "Book Love" by Aloi @ Guiltless Reading. I finished the two no-sew no-tie blankets to cover the two radiator shelves in the living room. From that project, there were scraps of fleece, which I braided into ropes for George to play with (they say dogs like those rope-y things, but Torrie only likes the kind made in China- and Keisha doesn't understand dog toys beyond mini tennis balls). My mom brought home a broken fishing rod for me to make a cat toy out of (think cat fishing pole) since George plays too rough with the pet store versions. I combined the two toys to make a fleece flogger-looking thing, that George has yet to break with his yanking and pulling. Oh, and Torrie also deserves credit for supervising the cat inspector last week while I did my Better World Books Haul photos. George did not try to eat the books under her watchful eyes (lately he's been trying to eat Kleenex, Kleenex boxes, paper clips, cardboard boxes, you know, everything in his sight that looks somehow 'tasty'). 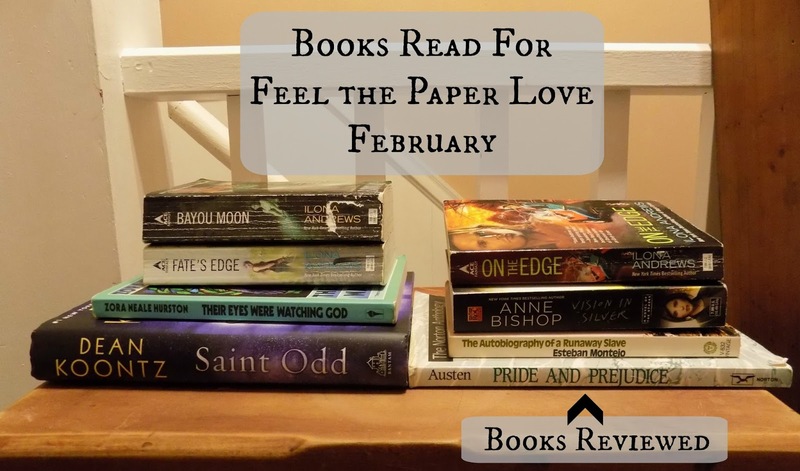 Throughout this month, I've been thinking a lot about what I like about paper books, and what I don't like much at all. 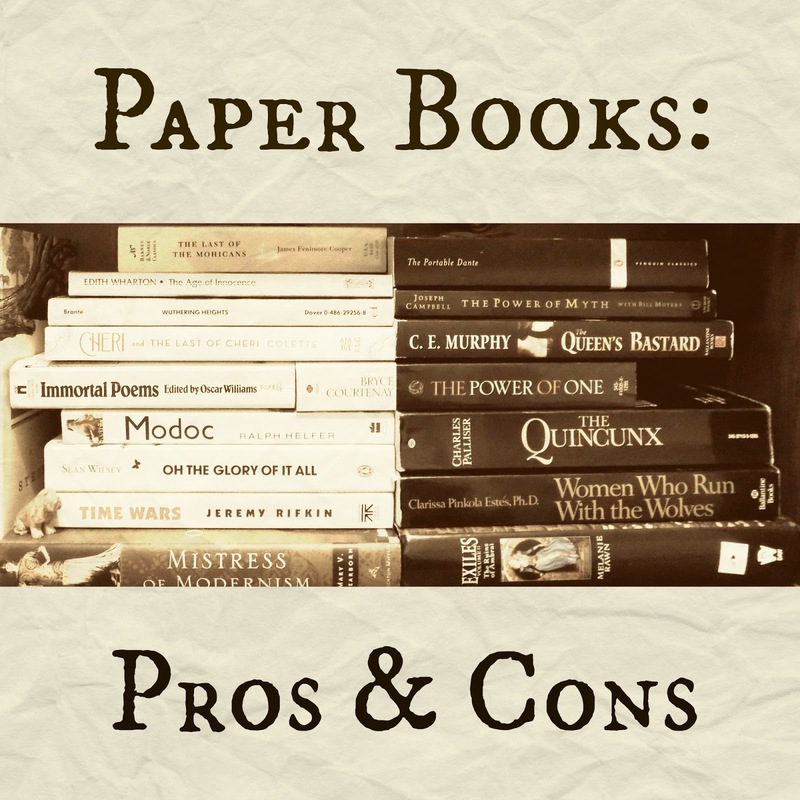 Here I've compiled my list of paper book pros and cons. 1. The ability to give, resell, or borrow for long periods of time. 2. The ability to smell a book in order to detect how old it is (or if someone borrowed it without asking). Pretty cover art is the best! 3. The ability to admire a book individually, and feature it on your shelves. 4. Paper books are collectibles- ebooks are definitely not. An author can sign your ereader, but not your ebook. You can pass down a book as a family heirloom. 5. Paper books never need a recharge or batteries. 6. Paper books can be read in the bathtub without much worry (unless you have a bad grip or like to splash). 7. If an intruder enters your house, you can always bash the back of his head with that huge edition of Harry Potter, a dictionary, or other reference book. An intruder is likely not intimidated by your slim e-reader, even when it is held menacingly. 8. Paper books need light to be read, but research says that lit screens can be harmful to sleep quality around bedtime (kind of a pro-because of con, but it fits). 9. 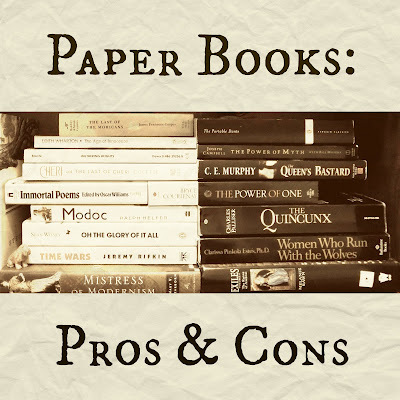 Paper books come in a multitude of styles: you can have different cover art (if you want that certain cover art), or you can have a lighter paperback or a heavier and sturdier hardcover. With ebooks, it's mostly one size fits all- and sometimes, you end up with cover art you aren't keen on. 10. Paper books give you an opportunity to touch, grasp, and hug your favorite book. In a weird way, they feel warm. Ebooks are hidden in a cold, mechanical device that may someday fail you. 1. Paper cuts innocent fingers. Paper drinks the blood of bookworms. 2. Space: you can only own so many books, especially if you live in an apartment. 3. 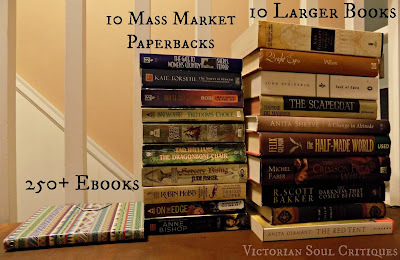 Size: it's much easier to travel with a slim ereader than ten bulkier paper books. 4. Cleanliness: if you spill coffee on a paper book, it leaves permanent marks. If you spill coffee on an ereader, you have to (likely) buy a new ereader, but your ebook is still in pristine shape. 5. Ability to access book whenever and wherever it's wanted on multiple devices. 6. Weight: some of us have trouble holding heavier books for long periods of time- ebooks weigh only as much as their e-reader. 7. Ebooks are easier to read if you have certain eye conditions. I love the high contrast, black background with white text reading my Kindle offers. Ebooks on the Kindle can also be read aloud to you by a robotic voice, but it still helps if you can't afford audiobook versions. 8. Some ebooks can be read without lights- depending on the device used to read them. If you live in a cave without electricity and don't have night vision, it's a definite plus, if you consider the hazards of candlelight reading (think fire). 9. You don't need a bookmark/random scrap of paper for an ereader. 10. All your highlights and notes are saved in one place, something you'd have to use a notebook or Goodreads for in a paper book. 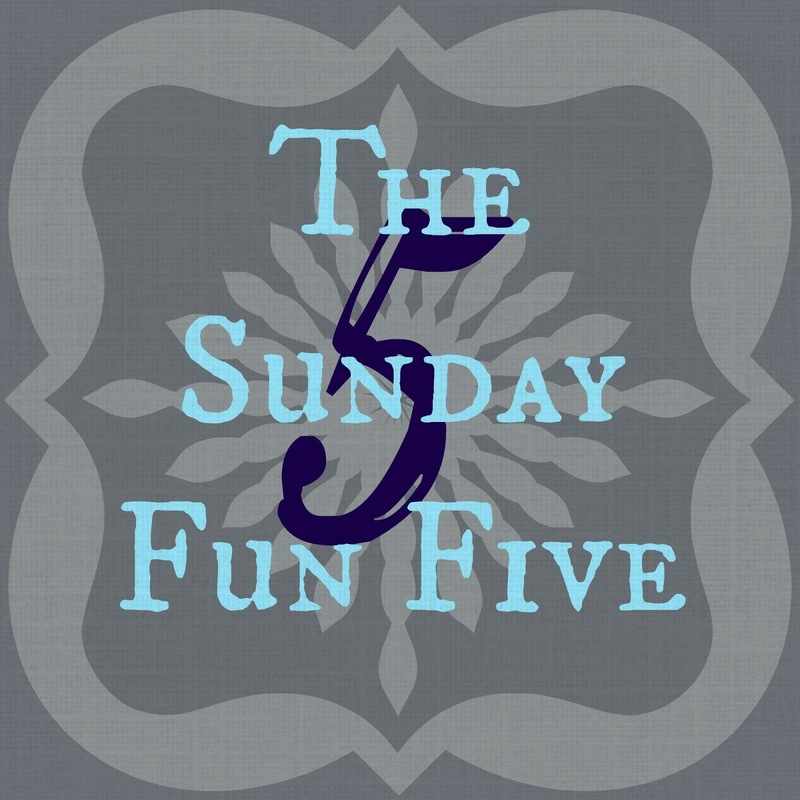 An interesting topic of discussion is whether paper or digital books are more permanent. For example, if you lost your house to a flood- a giant flood (or other natural disaster)- you would likely lose all your paper books to mold. On the other hand, if you had digital books, those would still be retrievable, as long as you had internet access (which is pretty common, these days). Depending on the site, the title of eco-friendly can go to either party, or so it seems (it really depends on how much you read and your reading style). The best take on this seems to be using your library card, and buying used books instead of new. If you have an e-reader, take care of it so it lasts- and don't throw it away. A Washington Post article states that: "Over 92 percent of those I surveyed said they concentrate best when reading a hard copy." If we concentrate better (or even think we do), isn't that an enormous benefit? While the science of this is debatable (which is why I put it under Topics to Think About), I have to admit that I, too, get readily distracted while reading an ebook. Usually, I turn the Wifi off, but even then, I feel like I'm more likely to skim. Which do you prefer: paper books or ebooks (or audiobooks)? What are some other pros and cons of the physical book (that I was likely to busy thinking up abstract scenarios to ponder)? 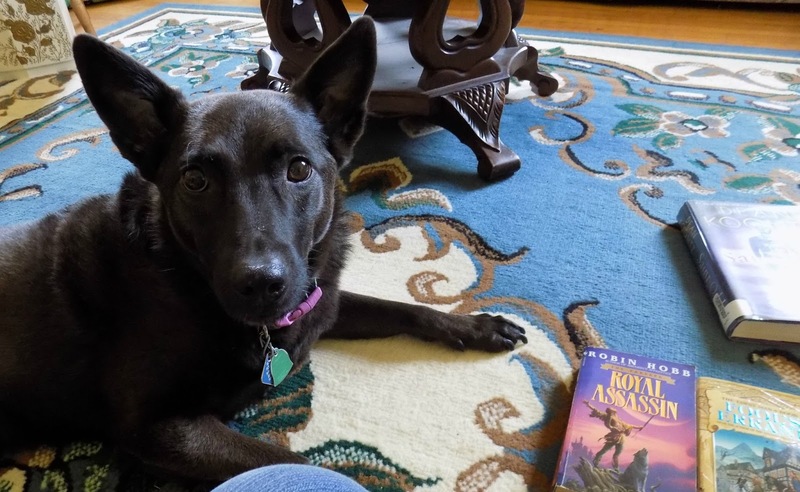 This review features a book that is the third in The Others series, and may have spoilers for those who have not read Written in Red and Murder of Crows. My review of the first book can be found here. During the last book, I felt that all of the action was very anti-climactic- I knew Meg and Simon would be safe, so it wasn't a very interesting read for me. With this book, that certainty of safety was whisked away, and in its place doubts began to grow. Ultimately, this was a much better book for me due to the presence of those doubts. I've been waiting (and waiting, and waiting) to get this book at a decent price so I could read it- and it doesn't disappoint. Usually I build my expectations up so much during the anticipation of waiting for it (and salivating as I stroke the cover with my cursor while watching someone else read it on Goodreads), that the book can't ever reach the heights I've predicted. 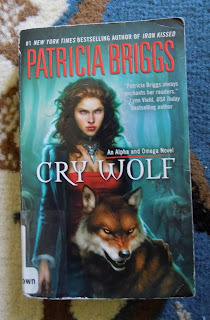 This one took me by surprise on several occasions- maybe because I've forgotten some of the plot points of the previous books (though I never forget the Wolf puppies), or maybe because the characters are becoming more dynamic in their roles. 'The Others freed the cassandra sangue to protect the blood prophets from exploitation, not realizing their actions would have dire consequences. Now the fragile seers are in greater danger than ever before—both from their own weaknesses and from those who seek to control their divinations for wicked purposes. In desperate need of answers, Simon Wolfgard, a shape-shifter leader among the Others, has no choice but to enlist blood prophet Meg Corbyn’s help, regardless of the risks she faces by aiding him. 'Meg is still deep in the throes of her addiction to the euphoria she feels when she cuts and speaks prophecy. She knows each slice of her blade tempts death. But Others and humans alike need answers, and her visions may be Simon’s only hope of ending the conflict. The cassandra sangue have been freed, but they haven't been freed from their addiction. Where things seem to come much easier for Meg, they struggle- and so it becomes Meg's job to be their role model, and help find ways to help them cope. Meg as a character doesn't feel like leader material- over the past few books, she's evolved to be stronger, but by no means is she completely well-adjusted. 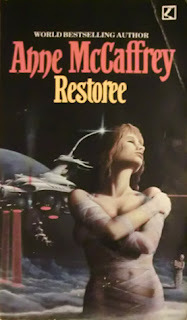 I think that's why she's such a remarkable heroine- where many authors choose to make their protagonists invulnerable, Meg isn't that type of woman. It's easy for me to see pieces of my younger (and much less confident) self in her. 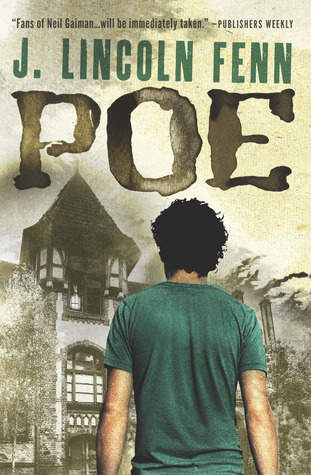 Beyond the characters, this book has the continuing darker undertones of the series. It's difficult to describe without spoiling, but things are even worse than they seemed in the previous book. Sometimes you get fooled into a false sense of security with authors' foreshadowing and perspective changes, and I feel that may be what is happening with this book.... but then again, I've been played a fool by authors' conniving plot twists before. 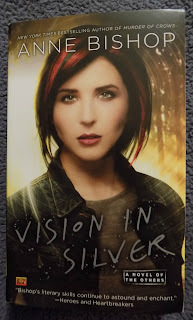 Vision in Silver is much better than Murder of Crows, but it doesn't quite hit the heights of the first book for me (still not enough Wolf puppies). I enjoyed the evolving relationship of Meg and Simon, but let's be honest: in which book haven't I enjoyed that??? Anne Bishop has done a spectacular job with a slow-building relationship, which contributes to a large part of my love of this series. All I know is, I can't wait to read the next book, Marked in the Flesh. Rating: 4 of 5 Stars for a third book that exceeds the sequel! Content: Ages 16+ for violence, cutting, and inhumanity. Page Count: 493 pages in my mass market paperback edition. Out of Orbit Critiques are the reviews on books that stray outside my usual genres. 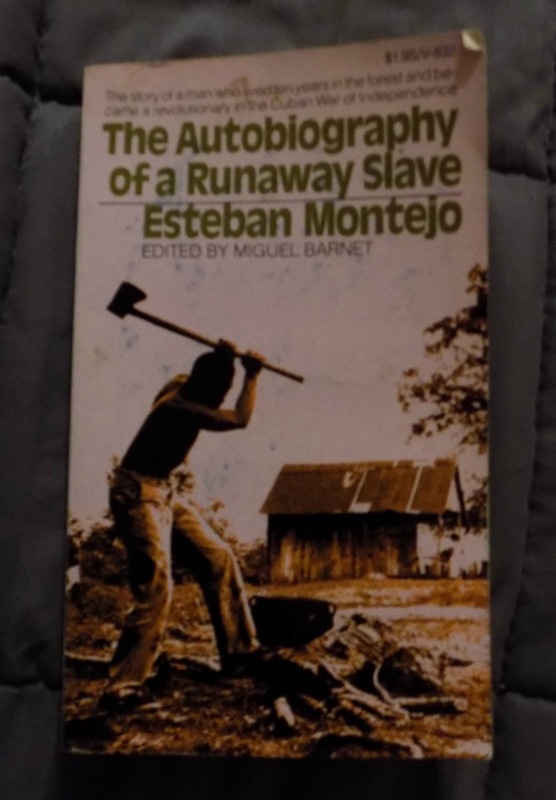 The Autobiography of a Runaway Slave is an autobiography, that was penned and slightly edited by Miguel Barnet, as Esteban Montejo couldn't write at the time it was written (but he learned to read shortly after this book was published, as he wanted to make sure it was good). It's hard to rate and review a book like this, because in all ways, it is well worthy of being read and of great interest to those of us who wonder what life was like in historical Cuba. There is an enormous attention to detail that you won't find in many autobiographies: this book truly brings you the culture of long ago Cuba, along with an absolutely amazing survivor's tale. The only downside is, due to the way this was produced (an oral autobiography written down), you do lose some of the magic and find yourself lost on certain occasions. Esteban grows up in a hostile environment I'm not sure I would've survived in. He doesn't even know who his parents are, and there is no familial bond to keep him on the plantation, as he was raised by wet nurses. As I read, I was reminded of the dystopian society of Brave New World which I read around this time last year- this autobiography was like that, except Esteban was aware that society in general wasn't in any way beneficial to him. It seemed even from the beginning, he was destined to run away. 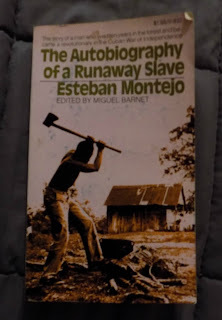 The most moving part of the book is likely the first part, the chronicle of Esteban's daily life while he was enslaved. It's simply unimaginable the conditions he and others lived under- locked into a dirt-floored shed at night (he called them barracoons) where there were no bathrooms. But they caught me without a struggle, clapped a pair of shackles on me (I can still feel them when I think back), screwed them up tight and sent me back to work wearing them. You talk about this sort of thing today and people don't believe you, but it happened to me and I have to say so. It's during the other sections of his life that you learn more about Cuba's culture as a whole: he tells of the varying religions and magic practices (apparently, you don't mess with the Congolese as they are wickedly talented with their magic), the different dances (some were only for "white" people, as a law), the varying food (there was a chocolate drink with vinegar in it I wanted to try), and how he survived in the forest after having escaped slavery, utilizing different plants to heal his wounds, and avoiding snakes. There is a wealth of culture in this book, but due to the way it was written, you often get lost, or wonder if things are being repeated (because they 'sound' very familiar). If it had been written/told when Esteban was a younger man or the 'writer' had inserted some details to give those of us who don't really know much about Cuba a clearer picture, this book would likely rank higher in my esteem. As it stands, though, you do need to know a little about Cuba or infer it yourself to enjoy reading this book. The Autobiography of a Runaway Slave is a journey into Cuba's past- and a primer on some of the lost cultures. It is also the story of a man who survived despite the odds being stacked against him, overcoming many things, and teaching us, the readers, many things through the telling of his story. In some ways, this book is flawed, but I have no doubt that he told everything exactly as he saw it, which makes me respect him even more. If you know something about Cuba's history but want to learn more about its historical culture, especially from the perspective of a person of color, I recommend this book for you. Rating: 3.5 of 5 Stars for a great autobiography set in a culture long passed. Content: Ages 16+ for some sexual mentions and violence. This was an entirely unexpected gem- and one of the funnest Halloween reads I've devoured during that season. And also, there's a picture of a mansion on the cover- it simply must grace my shelves, someday. 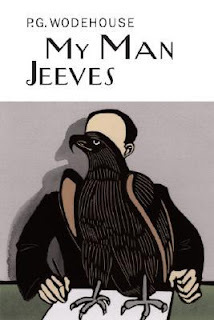 I had such fun with these short stories- I would rather have my very own Jeeves (and perhaps a Wooster too), but I will settle for a physical copy of this book. I own the ebook (free) edition of this- but I really, really, really, really would like a physical copy of it to grace my shelves. Particularly with a beautiful cover like this, or an older hardcover edition. This is the first and only romance I've rated 5 Stars- it's safe to say I loved it, so it's no wonder I crave a physical copy of it. And since the cover is also one of the best you'll see in romance (despite having the worst cover to begin with)... Yeah, I think I'll be getting this someday. The book I would most like a physical (preferably hardcover) copy of is this book- mostly so I can see the illustrations without squinting (and, you know, I kind of loved it too). I may not be able to pick it up as easily as the others (it has 1087 pages), but I'd still love to own it. Which books do you want a physical copy of?